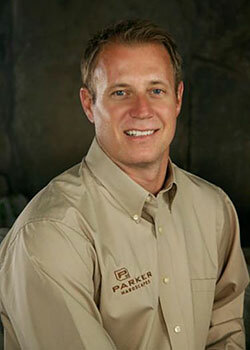 Eric Thompson is president of Parker Hardscapes, a building supply company that specializes in outdoor landscape products that are manufactured and designed to reinvent the outdoor living spaces of homeowners and businesses. Among the products that Parker Hardscapes features includes Belgard pavers, retaining walls, custom stone, water features, barbeques, and fireplaces. Belgard is known within the hardscape manufacturing world as being at the forefront of material innovation and trends that provide high-quality, high-performance results for home landscape projects. An entrepreneurial at heart, after spending nine years as vice president of Tetrus Building Materials, Thompson opened Parker Hardscapes in 2010. The company is named after his son, Parker. Thompson understands the ‘ins and outs’ of running a hardscape and landscaping company and prides himself in overseeing the company’s operations, sales and purchasing. In order to differentiate Parker Hardscapes from other building supply companies in the area, Thompson built a custom showroom and the most comprehensive outdoor design center in northern Nevada where customers can view and compare products. Additionally, a 2.5-acre distribution yard located on the Parker Hardscapes’ site, allows customers to literally purchase, pick up, and leave with their products, without having to drive to a separate lot to pick-up their purchase. Thompson earned a bachelor’s of science degree in hotel management at the University of Las Vegas in 1995, and he earned a masters in business administration (MBA) from the University of Nevada, Reno in 2001.